Located in the heart of Gurgaon, OYO 15503 Corporate House promises a great experience to the guests at affordable rates. The well trained and friendly staff of OYO maintains the property and ensures your stay is smooth. 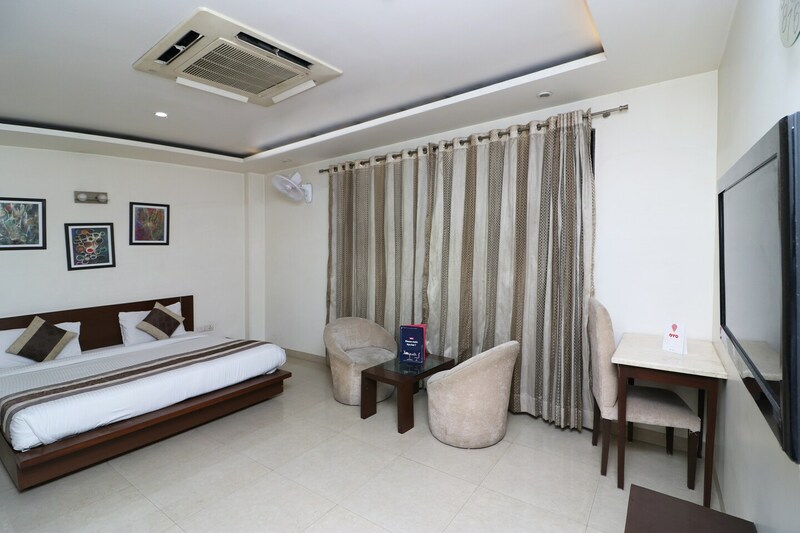 The rooms are equipped with modern amenities like Dining Area, Complimentary Veg Breakfast, Card Payment and much more. Traverse Gurgaon to visit famous attractions like Kingdom Of Dreams, Dlf Cyberhub and Rivoli Gardan Shitla Mata Mandir. There is Yes Bank ATM, Standard Chartered ATM and Oriental Bank of Commerce ATM nearby the hotel so you are never out of cash.